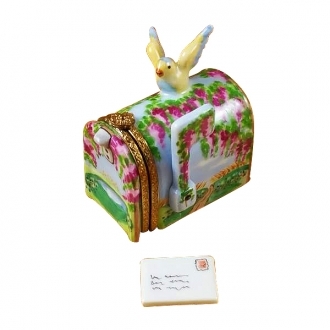 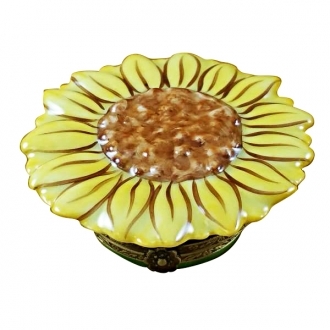 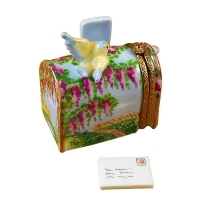 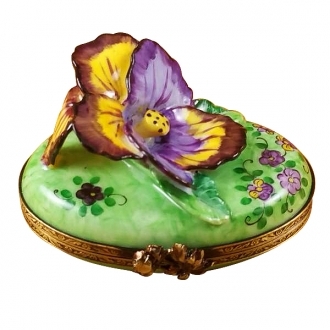 Mailbox wisteria yellow bird - Limoges Boxes and Figurines - Limoges Factory Co. 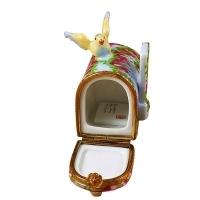 This Limoges box that is shaped like a mail box is a very functional item. 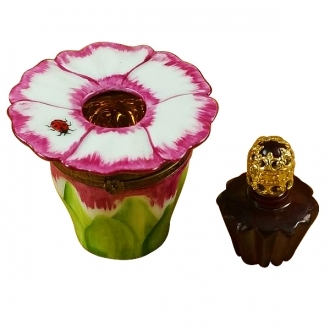 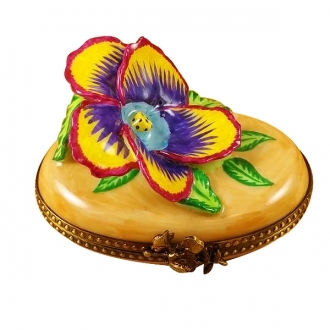 The box opens like a mail box with ornamental rims and flower clasp. The exterior of the box is painted with spectacular wisteria in bloom creeping all over the box. 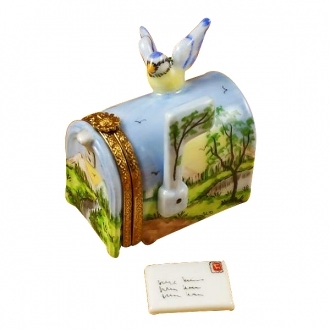 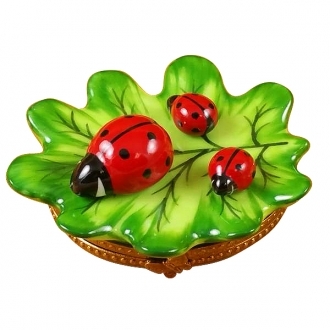 The beautiful bird flying off the mail box adds to the charm of the Limoges creation. 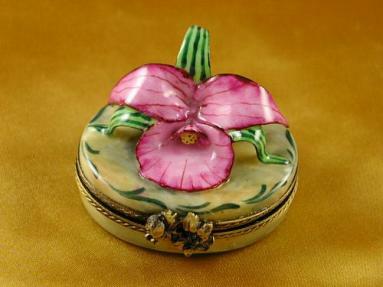 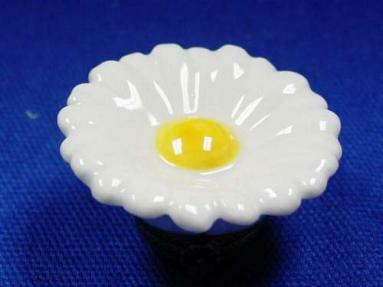 Measurements: 1,5" х 2" х 2,25"